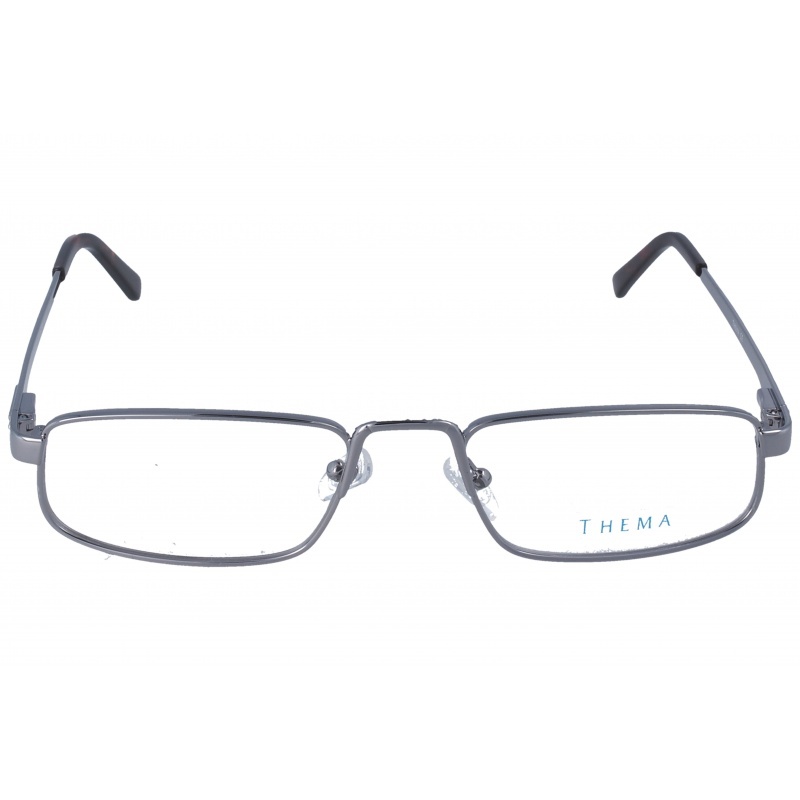 Eyewear by the brand THEMA, for Men's eyeglasses, with reference M0011129, with a(n) Formal and Modern style.These Thema 1363 008 51 21 have a(n) Full Rim frame made of Metal with a(n) Square shape in Gray colour. Their size is 51mm and their bridge width is 21mm, with a total frame width of 72mm. These glasses are suitable for prescription lenses. These are top of the range glasses from the brand THEMA, made of high-quality materials, modern eyewear that will give you a look that matches your image. Buy Thema 1363 008 51 21 eyewear in an easy and safe way at the best price in our online store. 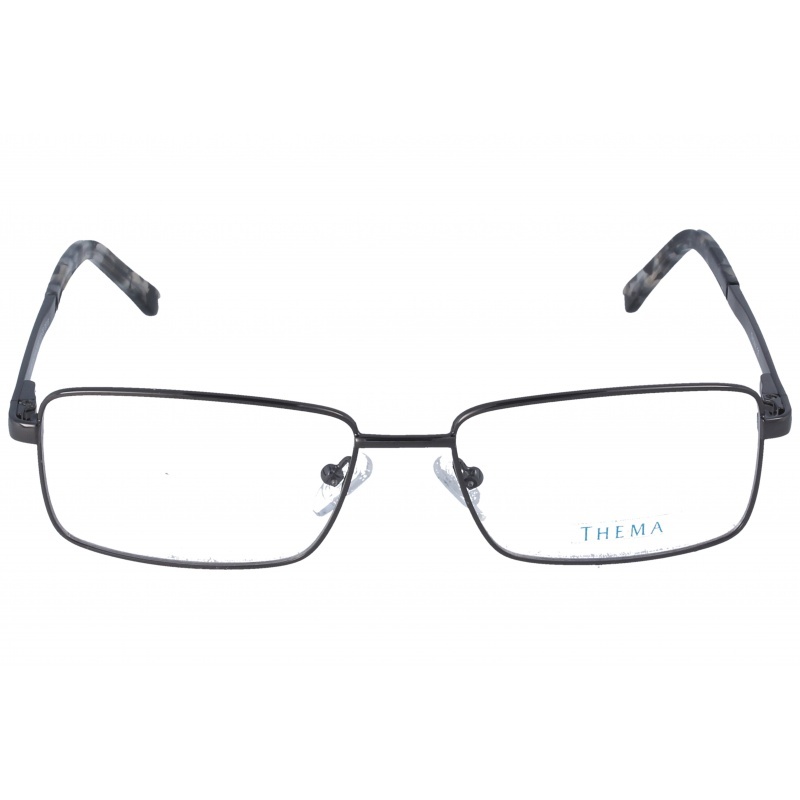 Eyewear by the brand THEMA, for Eyeglasses for men, with reference M0014029, with a(n) Formal and Modern style.These Thema GV01 008 52 19 have a(n) Rimless frame made of Titanium with a(n) Squared shape in Lead colour. Their size is 52mm and their bridge width is 19mm, with a total frame width of 71mm. These glasses are suitable for prescription lenses. These are top of the range glasses from the brand THEMA, made of high-quality materials, modern eyewear that will give you a look that matches your image. Buy Thema GV01 008 52 19 eyewear in an easy and safe way at the best price in our online store. string(129) "Buy Thema GV01 008 52 19 eyeglasses. Modern and elegant model. Original product with fast shipping, quality guarantee and refund." string(20) "Thema GV01 008 52 19"
string(392) "Everything started in 1972, when the engineer Giorgio Valmassoi started his long adventure in the world of the Italian and world optical industry. Forty years dedicated to a job with all the passion and enthusiasm. This compromise, shared today with Valmassoi descendants: Roberto and Giulia, goes on day after day, aiming to improve the quality of their products and the services constantly." 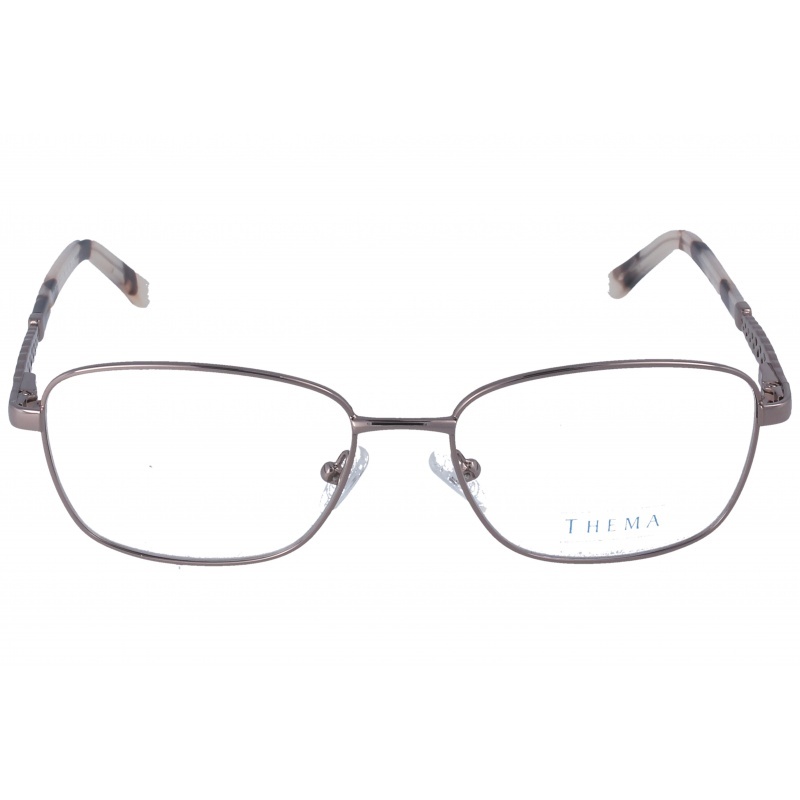 Eyewear by the brand THEMA, for Eyeglasses for men, with reference M0014028, with a(n) Formal and Modern style.These Thema GV01 003 52 19 have a(n) Rimless frame made of Titanium with a(n) Squared shape in Metallic colour. Their size is 52mm and their bridge width is 19mm, with a total frame width of 71mm. These glasses are suitable for prescription lenses. These are top of the range glasses from the brand THEMA, made of high-quality materials, modern eyewear that will give you a look that matches your image. Buy Thema GV01 003 52 19 eyewear in an easy and safe way at the best price in our online store. string(129) "Buy Thema GV01 003 52 19 eyeglasses. Modern and elegant model. Original product with fast shipping, quality guarantee and refund." string(20) "Thema GV01 003 52 19"
Eyewear by the brand THEMA, for Eyeglasses for men, with reference M0014027, with a(n) Formal and Modern style.These Thema 1400 02M 59 17 have a(n) Full Rim frame made of Metal with a(n) Squared shape in Black colour. Their size is 59mm and their bridge width is 17mm, with a total frame width of 76mm. These glasses are suitable for prescription lenses. These are top of the range glasses from the brand THEMA, made of high-quality materials, modern eyewear that will give you a look that matches your image. 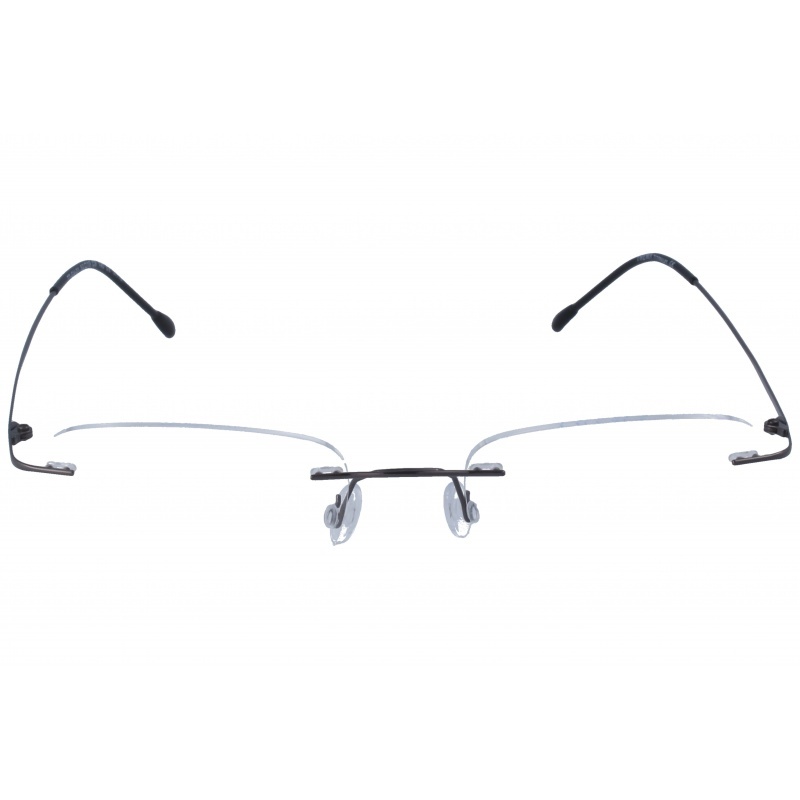 Buy Thema 1400 02M 59 17 eyewear in an easy and safe way at the best price in our online store. 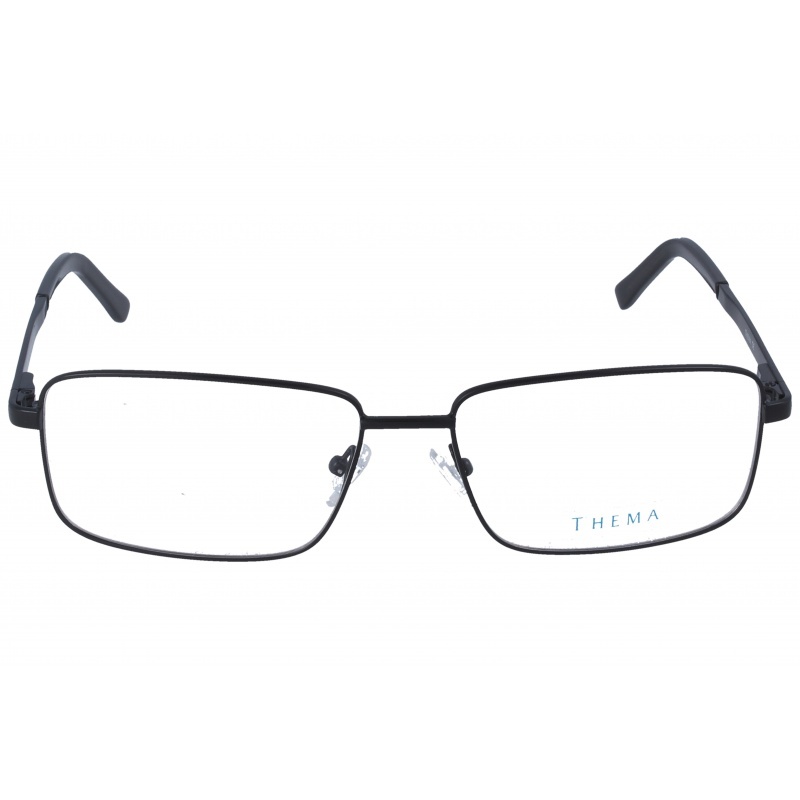 string(129) "Buy Thema 1400 02M 59 17 eyeglasses. Modern and elegant model. Original product with fast shipping, quality guarantee and refund." string(89) "elegant glasses,cheap glasses thema,thema glasses,thema 2014 2015 glasses,eyeglasses 2014"
string(20) "Thema 1400 02M 59 17"
Eyewear by the brand THEMA, for Eyeglasses for men, with reference M0014026, with a(n) Formal and Modern style.These Thema 1399 008 57 17 have a(n) Full Rim frame made of Metal with a(n) Squared shape in Lead colour. Their size is 57mm and their bridge width is 17mm, with a total frame width of 74mm. These glasses are suitable for prescription lenses. These are top of the range glasses from the brand THEMA, made of high-quality materials, modern eyewear that will give you a look that matches your image. Buy Thema 1399 008 57 17 eyewear in an easy and safe way at the best price in our online store. string(129) "Buy Thema 1399 008 57 17 eyeglasses. Modern and elegant model. Original product with fast shipping, quality guarantee and refund." 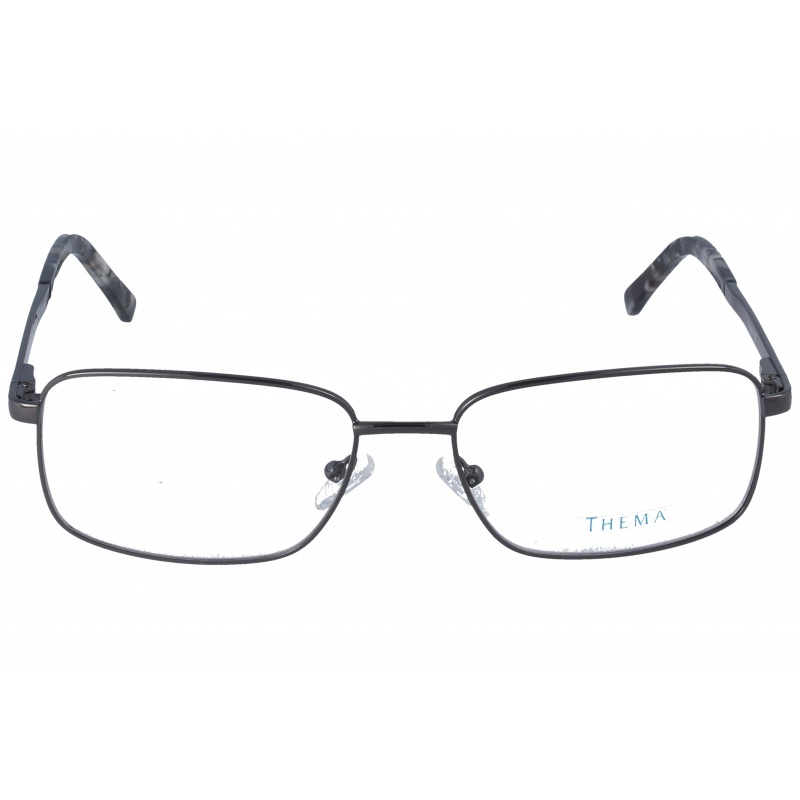 string(20) "Thema 1399 008 57 17"
Eyewear by the brand THEMA, for Eyeglasses for men, with reference M0014025, with a(n) Formal and Modern style.These Thema 1398 008 55 16 have a(n) Full Rim frame made of Metal with a(n) Squared shape in Lead colour. Their size is 55mm and their bridge width is 16mm, with a total frame width of 71mm. These glasses are suitable for prescription lenses. These are top of the range glasses from the brand THEMA, made of high-quality materials, modern eyewear that will give you a look that matches your image. 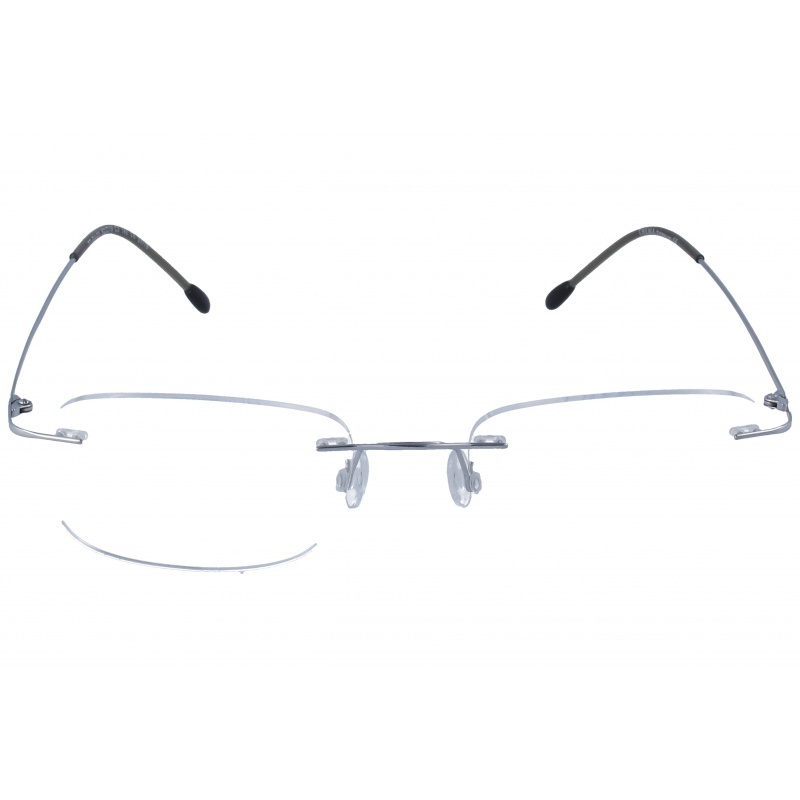 Buy Thema 1398 008 55 16 eyewear in an easy and safe way at the best price in our online store. string(129) "Buy Thema 1398 008 55 16 eyeglasses. Modern and elegant model. Original product with fast shipping, quality guarantee and refund." string(20) "Thema 1398 008 55 16"
Eyewear by the brand THEMA, for Eyeglasses for women, with reference M0014023, with a(n) Formal, Modern and Female style.These Thema 1392 018 53 17 have a(n) Full Rim frame made of Metal with a(n) Squared shape in Bronze colour. Their size is 53mm and their bridge width is 17mm, with a total frame width of 70mm. These glasses are suitable for prescription lenses. These are top of the range glasses from the brand THEMA, made of high-quality materials, modern eyewear that will give you a look that matches your image. Buy Thema 1392 018 53 17 eyewear in an easy and safe way at the best price in our online store. string(129) "Buy Thema 1392 018 53 17 eyeglasses. Modern and elegant model. Original product with fast shipping, quality guarantee and refund." string(20) "Thema 1392 018 53 17"
Eyewear by the brand THEMA, for Eyeglasses for women, with reference M0014023, with a(n) Formal, Modern and Female style.These Thema 1389 018 53 17 have a(n) Full Rim frame made of Metal with a(n) Squared shape in Bronze colour. Their size is 53mm and their bridge width is 17mm, with a total frame width of 70mm. These glasses are suitable for prescription lenses. These are top of the range glasses from the brand THEMA, made of high-quality materials, modern eyewear that will give you a look that matches your image. Buy Thema 1389 018 53 17 eyewear in an easy and safe way at the best price in our online store. string(129) "Buy Thema 1389 018 53 17 eyeglasses. Modern and elegant model. Original product with fast shipping, quality guarantee and refund." string(20) "Thema 1389 018 53 17"
Eyewear by the brand THEMA, for Eyeglasses for men, with reference M0014022, with a(n) Formal style.These Thema 1367 008 54 20 have a(n) Full Rim frame made of Metal with a(n) Squared shape in Lead colour. Their size is 54mm and their bridge width is 20mm, with a total frame width of 74mm. These glasses are suitable for prescription lenses. These are top of the range glasses from the brand THEMA, made of high-quality materials, modern eyewear that will give you a look that matches your image. Buy Thema 1367 008 54 20 eyewear in an easy and safe way at the best price in our online store. string(129) "Buy Thema 1367 008 54 20 eyeglasses. Modern and elegant model. Original product with fast shipping, quality guarantee and refund." string(20) "Thema 1367 008 54 20"